As is customary for our heads-of-state, President Rodrigo Duterte graced the commemoration ceremony for the national hero Dr. Jose. Rizal. Every 30th of December, the nation remembers the martyrdom of the late independence activist and reflect on what his sacrifice meant. 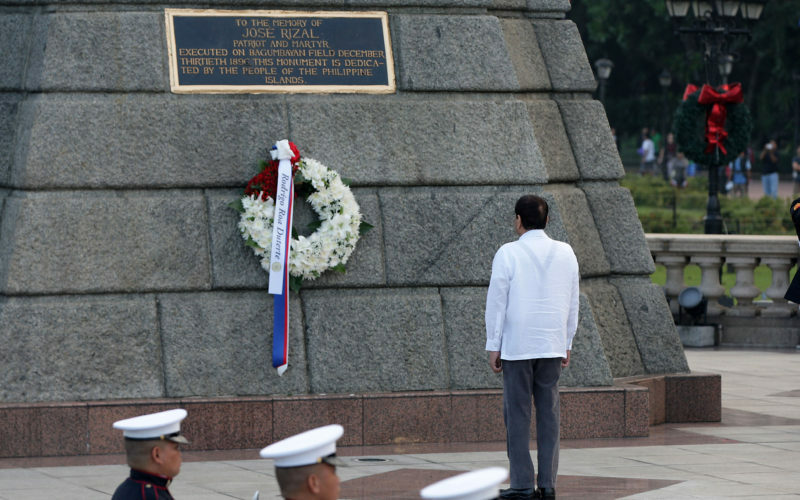 During his official address, the Chief Executive lamented on Rizal’s “patriotism” and called on Filipinos to “strive to continue his work of building a more united, peaceful and prosperous Philippines”. 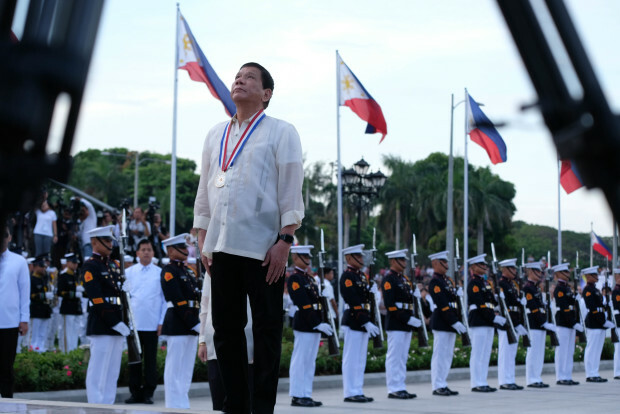 In essence, Duterte invited citizens to follow the activism of the national hero – peaceful resistance against the impunity and violence of the ruling class. The President’s statements might have been a case of being overlooked, rather than an invitation to topple his rule. After all, the actions of Rizal against the government of his time bears an uncanny resemblance to activists decrying the actions of the Duterte regime. José Protasio Rizal Mercado y Alonso Realonda, widely known as Dr. Jose Rizal, was a nationalist and polymath whose essays and poems inspired the Philippine Revolution which overthrew Spanish colonialism. Despite not having any part in the revolution’s conduct or its establishment, the ruling colonial government blamed his works for motivating the movement. His efforts led to his public execution on the 30th of December 1896, on the same plot of land which the Rizal Shrine – the venue for Rizal Day Memorial Services – is situated today. His life served as an example of how non-violent measures can promulgate radical transformations, tantamount to Gandhi in India’s independence movement. Rizal’s activism was largely brought on by his rebuke of the Spanish authorities’ brutality against the Filipino people, subjugating the latter to unfair, inhumane measures and acted with total impunity. Fast forward to more than a century into the future and the exact situation is happening in the Philippines in 2017, albeit to a more modicum degree. The Duterte government have been unapologetic in their draconian crackdown of illegal narcotics in the country, targeting not only peddlers but also drug users who are often from destitute households. The leader himself publicly declared he will pardon cops who accidentally kill innocent civilians in their line-of-duty, virtually giving a blank cheque to law enforcers to act with impunity. The death toll in this protracted anti-narcotics operation continues to rise incrementally, the brunt of the casualties are impoverished Filipinos and often times the victims were innocent. Even though Duterte himself has admitted his drug war disproportionately targets the poor, he has been unapologetic regarding it and shows no signs of ceasing brutal police operations. When the government acts with impunity and is complicit in the oppression of the Filipino people, especially the poorest and most vulnerable households, then society calls for a new Dr. Jose Rizal to emerge. As we remember his legacy on Rizal Day, may brave patriots emerge and restore justice to our nation.